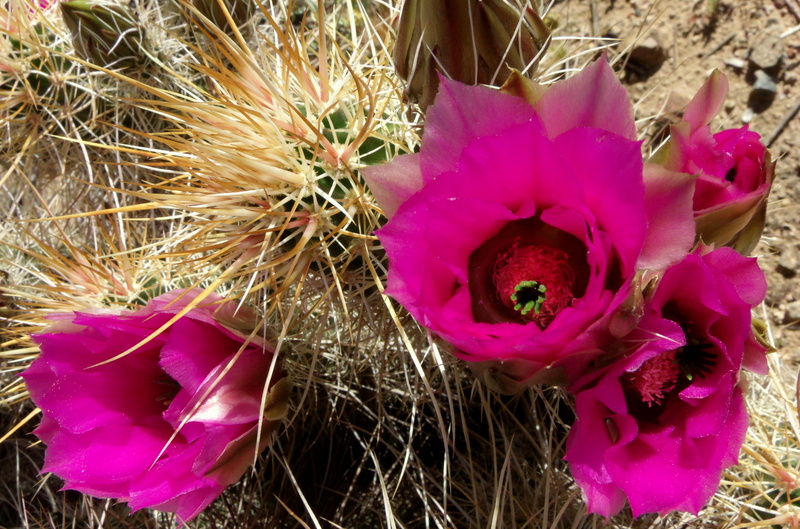 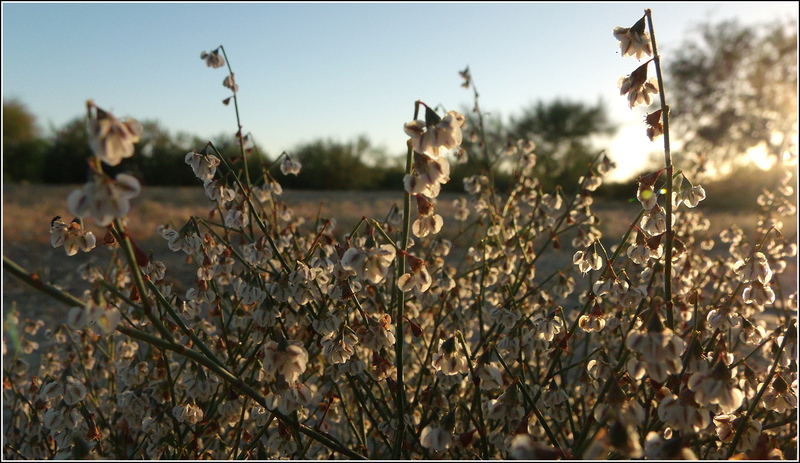 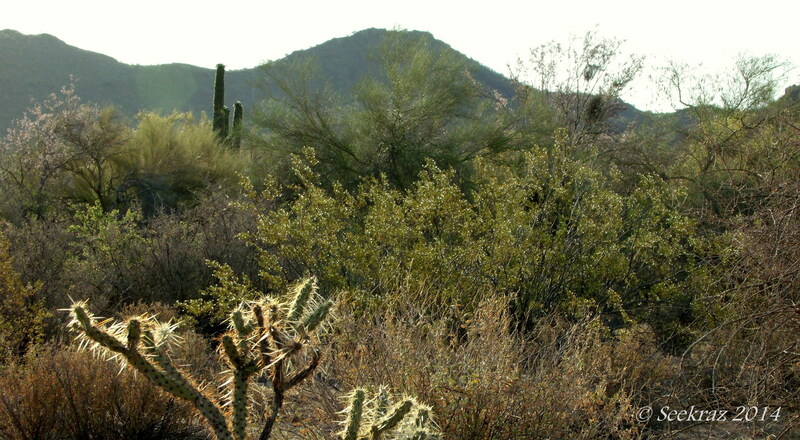 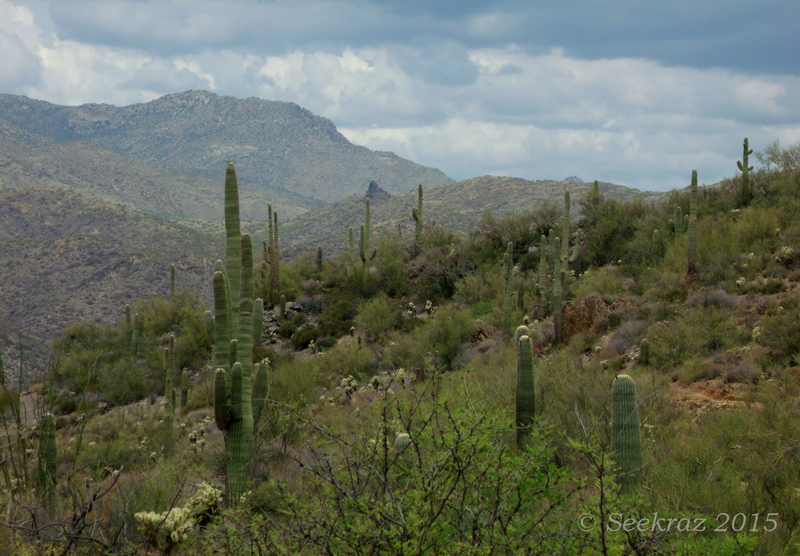 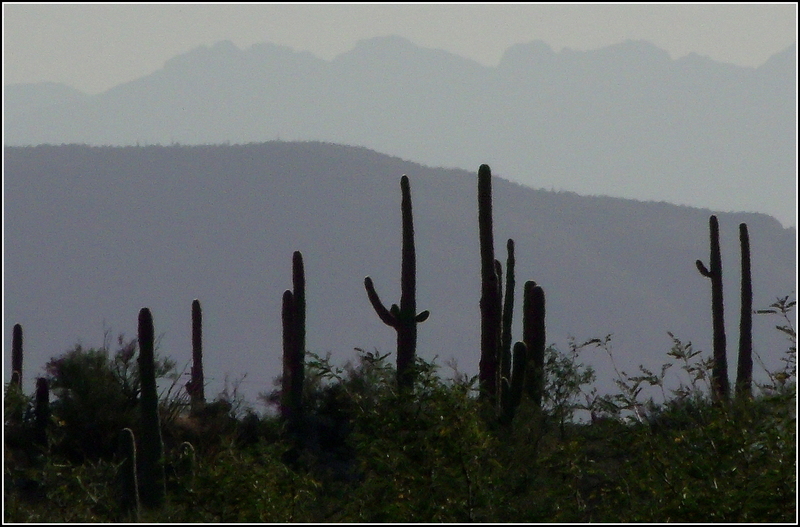 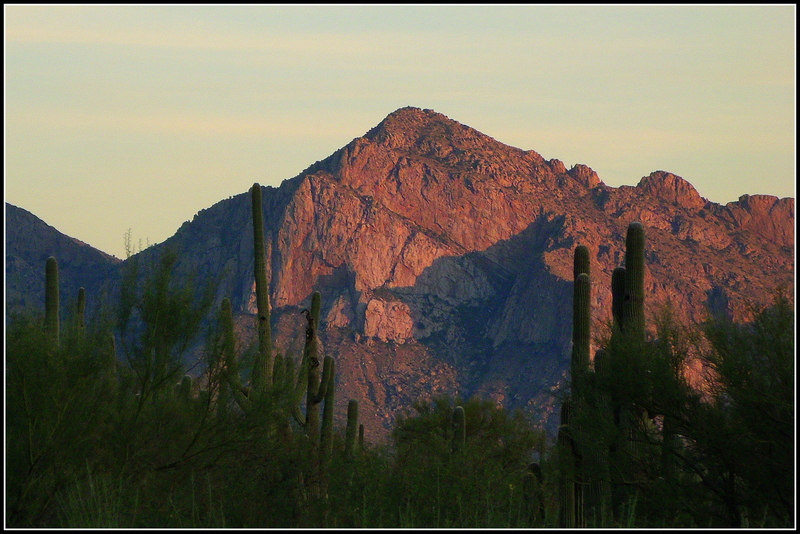 While I prefer living near the Wasatch Mountains of northern Utah, I still find an undeniable beauty in the Sonora Desert, pictured here in images from the area just north of Tucson, Arizona. 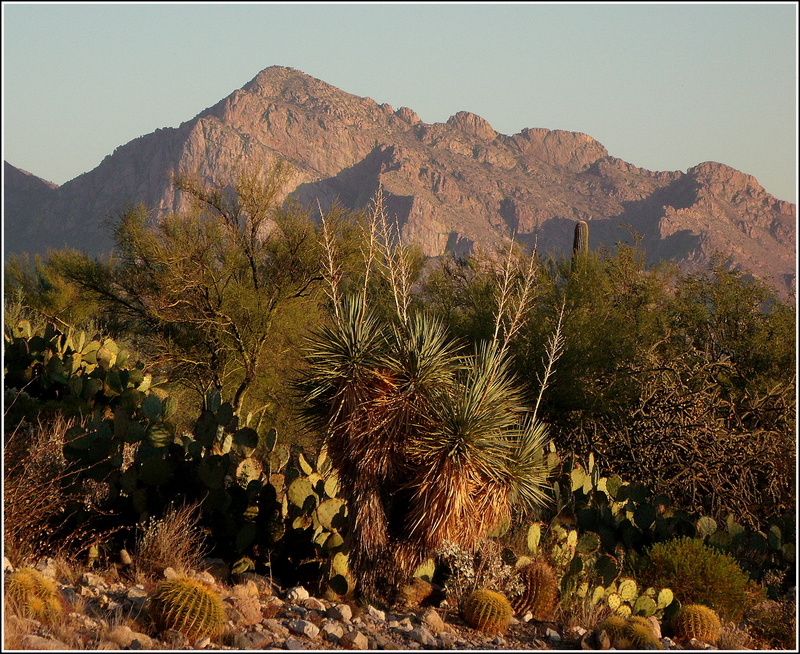 I recently spent a few days in Tucson, Arizona, USA…visiting with my wife’s mother, walking the morning-quiet roads of her desert neighborhood, and taking a new perspective when viewing the natural beauty of the surroundings. 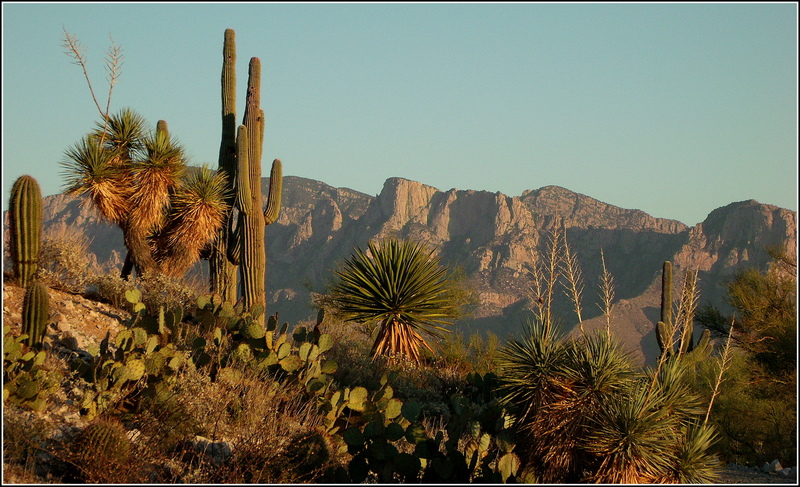 Those are the Santa Catalina Mountains in the background, with Mount Lemmon at the highest point, some 9,157 feet in elevation. 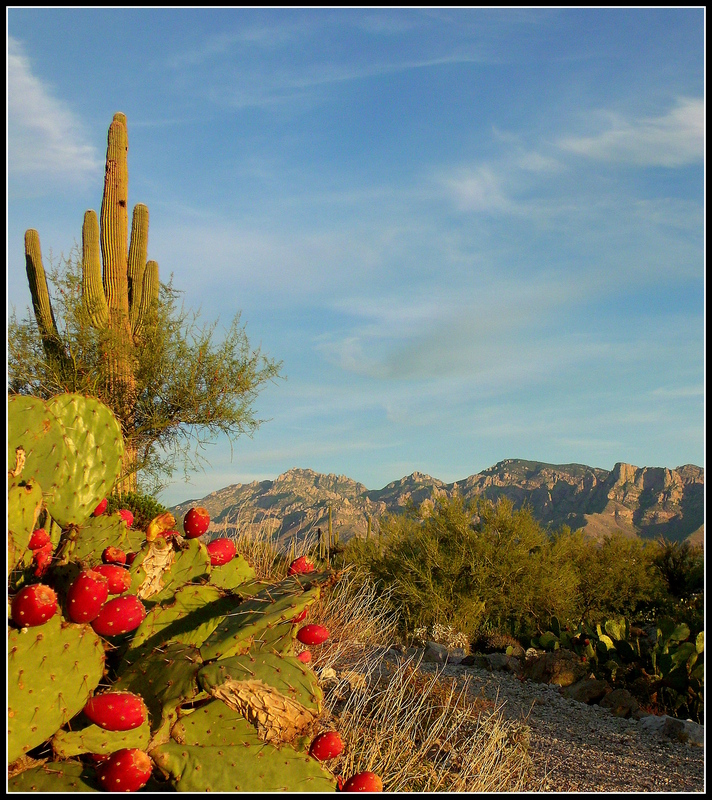 A Prickly Pear Cactus with fruit is in the foreground and the iconic Saguaro Cactus is prominent toward the left of the photo…I believe that might be a Palo Verde tree beneath the Saguaro with its green bark…and I’m not sure about the larger tree/shrub to the right…maybe a Greasewood. 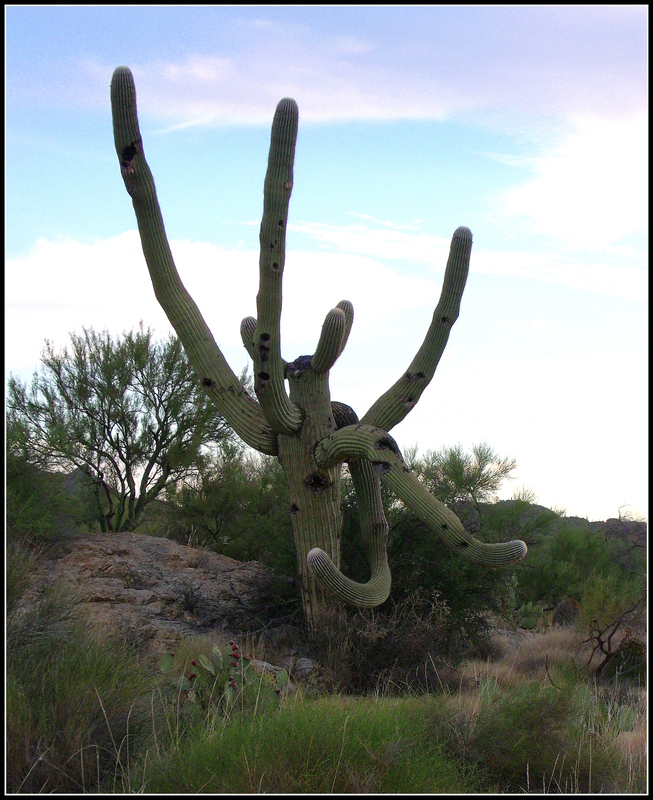 Owls and woodpeckers often live in the holes that you see in the Saguaro’s limbs. 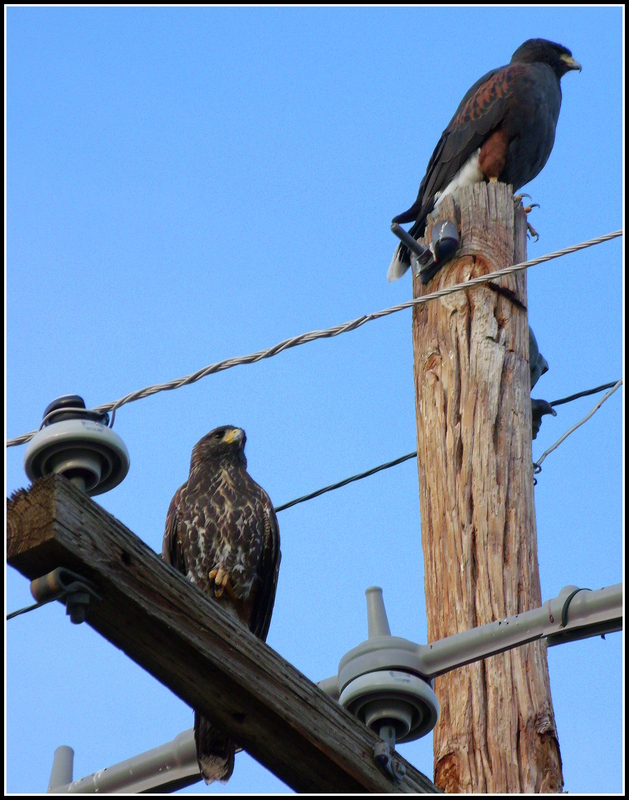 I believe these are Harris Hawks…they were mostly immobile when I was photographing them…but that only lasted for a minute or so…. 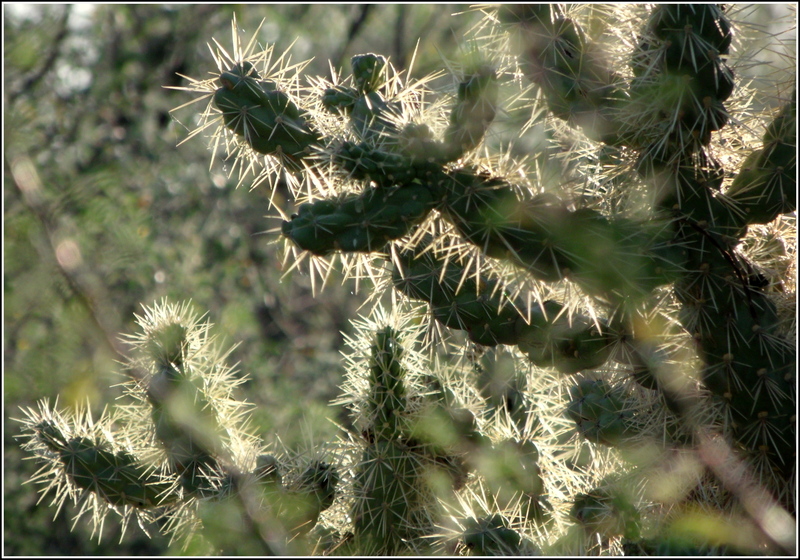 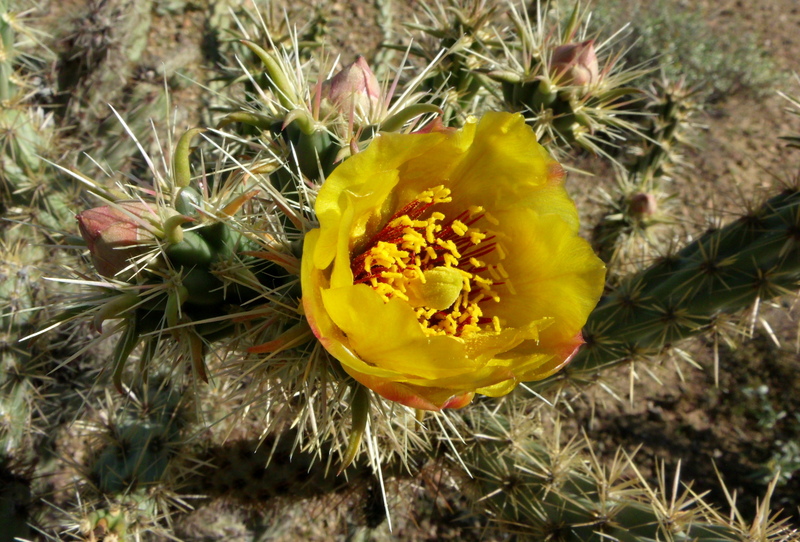 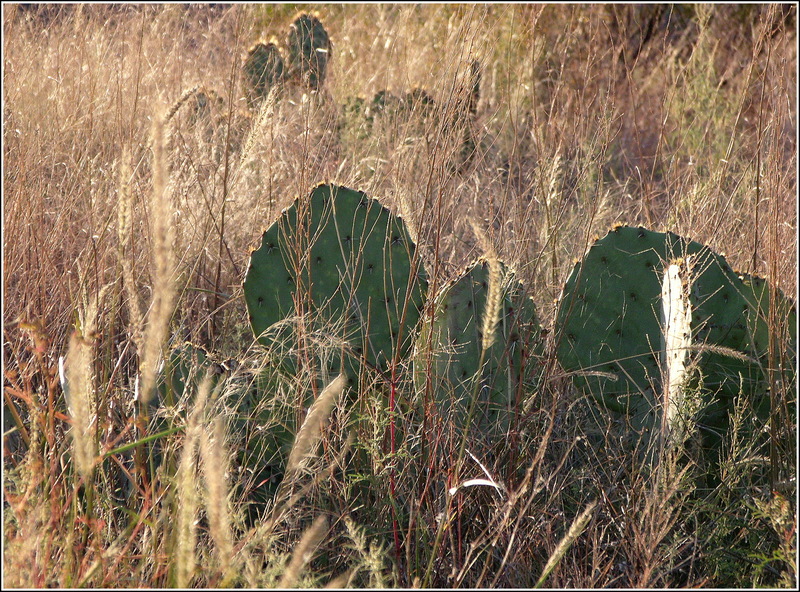 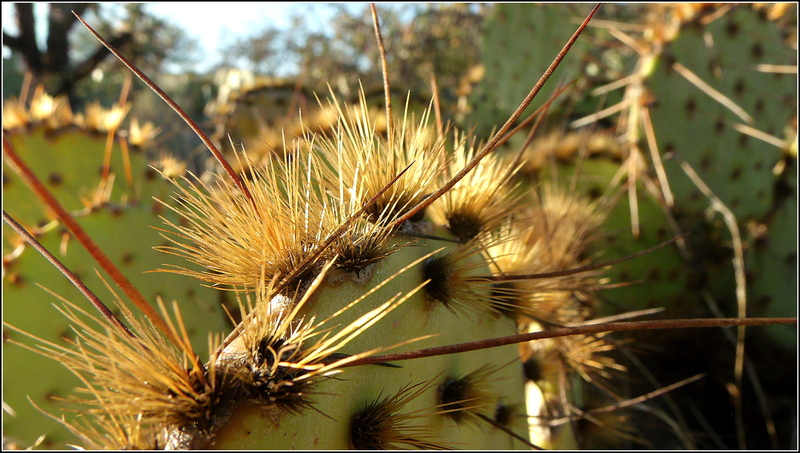 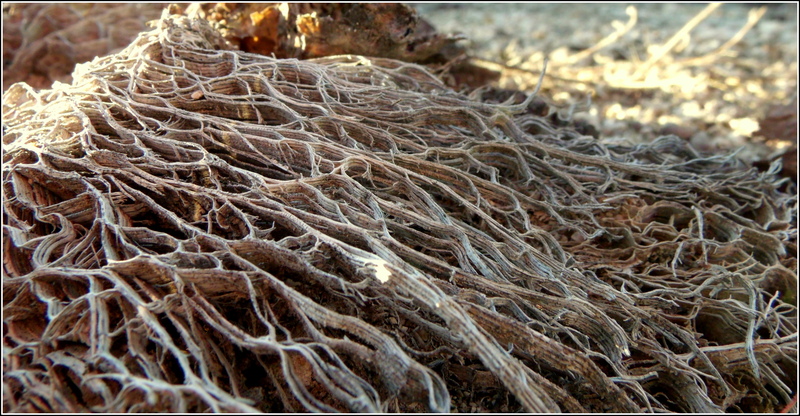 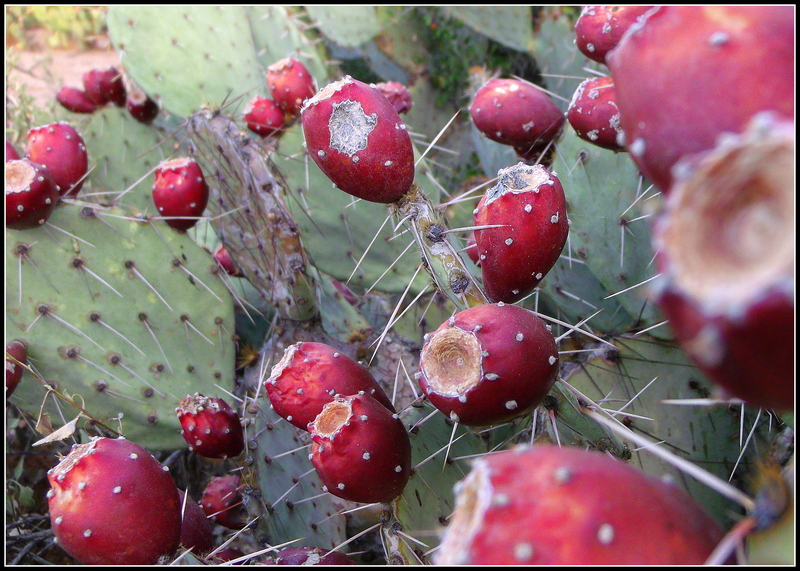 Again, if I’m not mistaken, these are a variety of Cholla Cactus…and those spines can cause quite a bit of discomfort…. 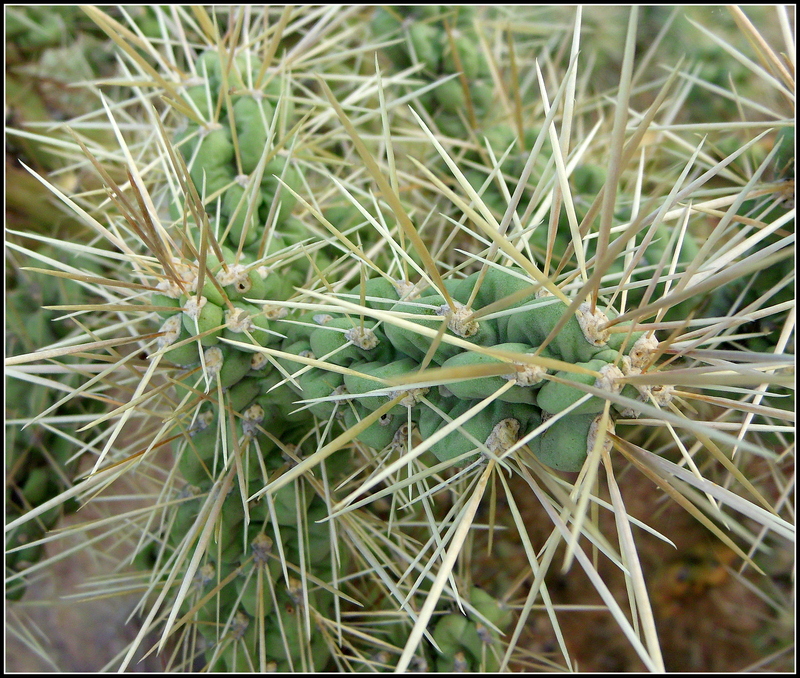 Wikipedia says that there are seven sub-species of Mule Deer…with the Rocky Mountain sub-species ranging the western portion of the United States and up into Canada. 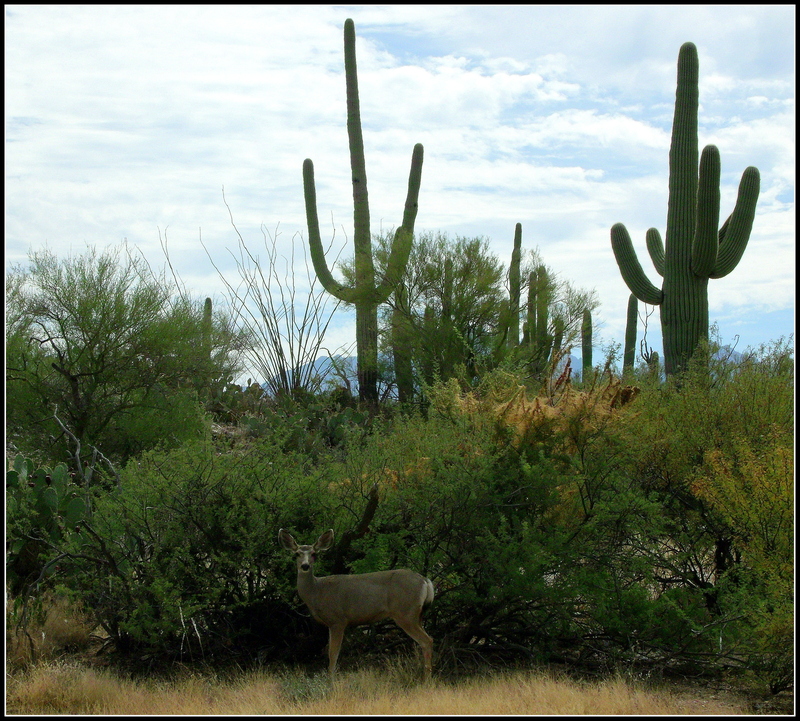 Aside from the Saguaro Cactus, you can also see the Ocotillo Cactus (the other tall and very skinny plant), Palo Verde, Prickly Pear Cactus, and directly behind the deer, what I believe might be more Greasewood. 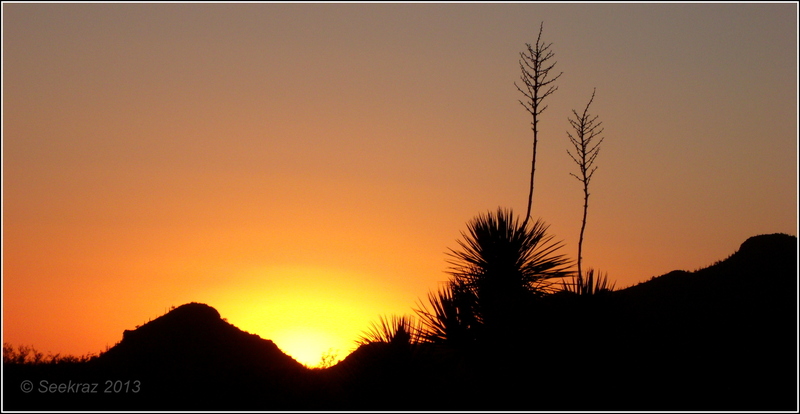 Desert sunsets can be beautiful…lighting the mountains with rose and orange hues…and bringing-out greater definition of the mountain’s many surfaces as shadows grow….